Enabling the Android lock screen and protecting it with a PIN, fingerprint, or password is a good idea. Without any lock screen security, anyone who picks up your phone could access your messages, email, and all the apps on your phone. Scanning your fingerprint or typing your PIN every time you want to use your phone in a secure environment, like at home, can be a pain though. That’s why Android includes the Smart Lock feature. This lets you bypass your lock screen security when you’re at home or when connected to a trusted Bluetooth device. But it has another trick worth exploring: on-body detection. Open Settings on your phone and select Security & location. Tap the Smart Lock entry and confirm your current PIN or password. If you don’t have any lock screen security, you’ll need to add that before proceeding. Select On-body detection. Read and confirm the info, then slide the toggle to On. Tap Continue once you’ve read the security message. That’s all you have to do. Now, once you unlock your phone, it will stay unlocked (meaning you don’t have to scan your fingerprint or enter your PIN) as long as it detects movement. This applies to holding your phone, as well as carrying it in your purse or pocket. Once you set the phone down, it will lock again. Remember that this feature can’t distinguish between you and anyone else. 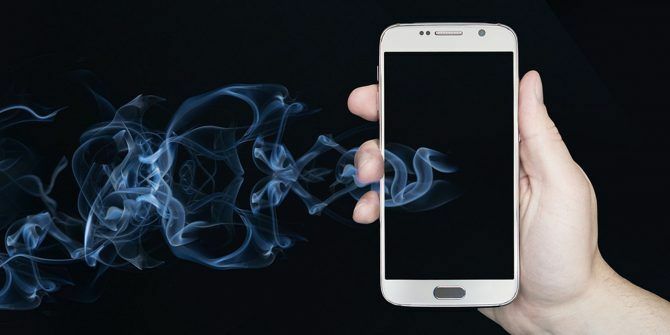 Thus, if you unlocked your phone and someone grabbed it off you 2 Easy Ways to Recover a Lost or Stolen Android Phone 2 Easy Ways to Recover a Lost or Stolen Android Phone These methods can help you find your lost or stolen Android phone or tablet. Read More , they’d be able to get in as long as they kept moving. If you often use your phone while running or in similar scenarios, you might appreciate the convenience. Just keep in mind that it’s not as secure as other Smart Lock options since it doesn’t check to make sure you’re the one using the phone. Explore more about: Android Tips, Lockscreen. How about the exact opposite? I need the phone to be locked when I'm moving (so that I don't call someone accidentally while it's in my pocket) and unlocked when it's sitting at the desk beside me.